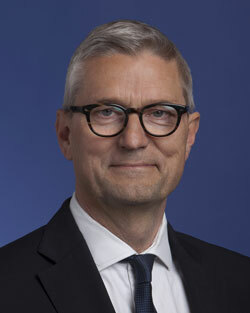 Erik Østergaard was appointed to the Board as a Non-Executive Director in November 2006 and became the Chair of the Board in April 2014. 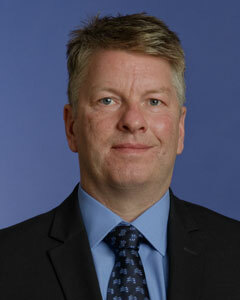 He is Chief Executive Officer of the Trade and Employers Organisation, Danish Transport and Logistics, comprising 2,100 Danish transport and logistics member companies. His career has involved over 30 years in various senior management roles in the shipping, ferry operations and transport industries. In 2004, he was bestowed the Knight’s Cross of the Order of Dannebrog by the Danish Queen. 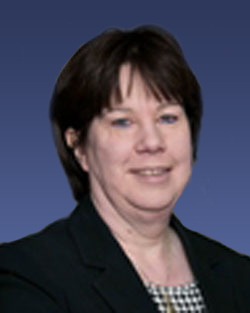 Morag McNeill is a qualified solicitor with over 25 years’ experience as a corporate lawyer. She was a senior partner in McGrigors LLP (now part of Pinsent Masons LLP) and latterly, was General Counsel at Forth Ports plc. Morag has extensive experience in the ports and harbours sector and a strong background in corporate governance. 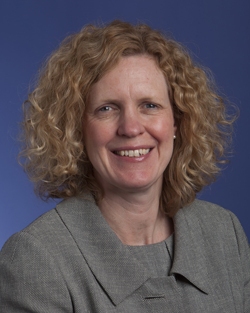 Ms McNeil is also a board member of Aberdeen Harbour Board, Social Investment Scotland and the Resources Board of the Scottish Government. She is also on the board of three charities and holds no other ministerial appointments. Chaidh Kevin Hobbs fhastadh sa Ghiblean 2016. Bha sealbh aige air port, logastachd mara agus buidheann co-chomhairle shoithichean, agus tha e air a bhith ann an àireamh de dh’àrd-dreuchdan stiùiridh rè an 25 bliadhna aige anns a’ ghnìomhachas mara. Bha Kevin na Stiùiriche anns an treas port as motha san RA, port Milford Haven, agus bha e cunntachail airson nan obrachaidhean uile ann am Port Pembroke agus Docaichean Milford. Tràth na dhreuchd bha e ag obair aìg àrd-ìre, a’ stèidheachadh Seatruck Ferries agus a’ solarachadh co-chomhairle is stiùireadh eadar-amail do luchd-dèiligidh san RA agus ann an Èirinn. Tha eòlas aig Kevin air a bhith ag obair leis an dà chuid soithichean agus puirt. Appointed as Finance Director for CMAL in May 2013. 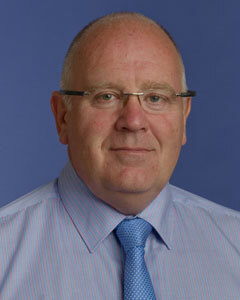 This is a joint appointment with Highlands and Islands Airports Ltd, both are Public Corporations. Qualified with a Bachelor of Accountancy degree from Glasgow University and then completed her Chartered Accounting qualification with PWC in Glasgow. She then spent 3 years working as an International Internal Auditor for Thorn EMI based near London. She joined Polaroid in 1998 where she held various Finance roles of increasing responsibility ultimately serving as Group Finance Director from 2007 to 2013 for the Polaroid Eyewear division which manufactures and sells Polaroid Eyewear Branded Sunglasses globally. 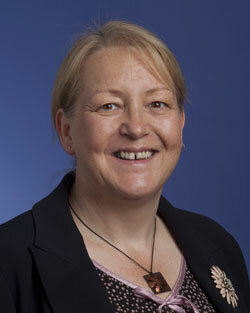 Lorna Spencer was appointed Director of Harbours and Piers in July 2007. Lorna started her career at sea with the Merchant Navy before moving into and gaining extensive experience in Port Operations latterly in a senior position with Hutchinson Ports in Felixstowe. Chaidh Jim fhastadh mar Stiùiriche Shoithichean sa Ghiblean 2016. Tha còrr air 30 bliadhna de dh’eòlas aig Jim anns a’ gnhnìomhachas mara, ag obair ann an dreuchdan àrd-stiùiridh do luchd-togail shoithichean, sealbhadairean shoithichean, co-chomhairlichean deilbh agus companaidh stiùiridh shoithichean.